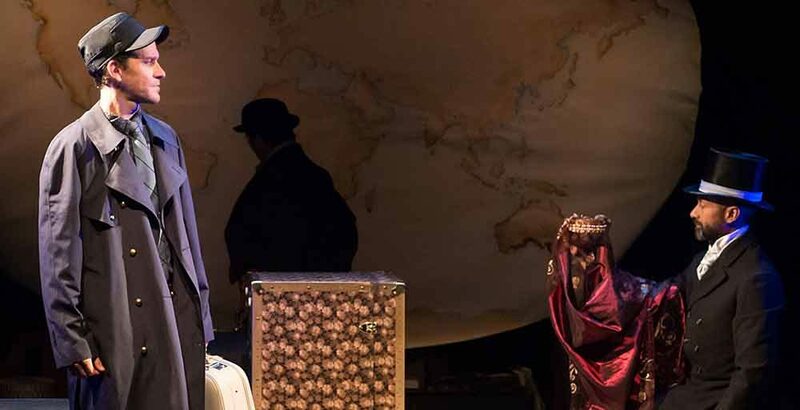 Road-tested with theatrical runs at both Théâtre Lac Brome and Hudson Village Theatre last summer, where it was loved by children and parents alike, Geordie’s production of Jules Verne’s timeless classic returns to Montreal with revised designs and other surprises! Travel across the globe with the clever Phileas Fogg and his astute partner-in-crime Passepartout as they attempt to win a timely wager in this epic adventure. Will they make it before time runs out? This April, families are invited to discover and rediscover Jules Verne’s iconic tale of Victorian modernity as it comes to hilarious contemporary light in an all-new imaginative Geordie production. Join three of Montreal’s finest comedic actors as they bring a cast of over twenty classic characters to life by way of incredible physical performances, lightening-speed set changes, razor-sharp dialogue, and…an elephant! Danielle Desormeaux has spent the past 20 years performing for young audiences across Canada, the US, South-East Asia and Australia with Platypus Theatre, making her ideally suited to play Passepartout. 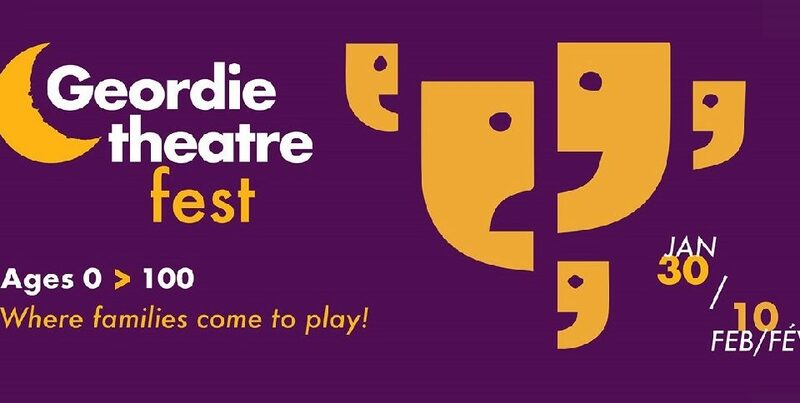 Local audiences will remember her work with Peter Hinton in The Comedy of Errors (Centaur Theatre) and The Seagull (Segal Centre), as well as with Geordie in Möcshplat and The Little Prince. Founding member of Montreal’s celebrated improv troupe Uncalled For, Mike Hughes started his professional acting career in Geordie’s 2002 production of Mouse (directed by Elsa Bolam) and has since gone on to act, teach and tour throughout North America and Europe in several productions including Cirque du Soleil’s Draillon. His infamous originality and comedic prowess help bring nearly a dozen characters to vivid life in Around the World in 80 Days. Local actor and musician Chimwemwe Miller has performed on small and big screens alike, as well as several Montreal stages and has lent his vocal talents to numerous celebrated video games including most of the worldwide successful Assassins Creed franchise titles. He brings the required manicured manners of the British gentleman to the oft-played Phileas Fogg and infuses him with many new stylings as yet unseen. Designers Sabrina Miller (set & costume) and Rob Denton (sound) return, both of whose work on Geordie’s The Halloween Tree last season merited META award nominations apiece, and are accompanied by META-nominated lighting designer David Perreault Ninacs, whose work was recently appreciated in both the award-wining Angelique and critically praised The Mountaintop. Stalwart Stage Manager Danielle Skene joins the team, as does Apprentice Stage Manager Stephen Alarie, multifaceted Production Manager Amy-Susie Bradford and Head of Props Sarah Osmond. Geordie Productions is Montreal’s leading English-language professional Theatre for Young Audiences, entertaining and engaging the imaginations of children and their families since 1980! Geordie Productions celebrates the art of theatre and its impact by working with emerging and established artists from various disciplines and cultural backgrounds to create theatre that is provocative, relevant and enchanting; inspiring dialogue between communities, children and parents as well as teachers and students of all ages.